Shown with DC-536 dining chairs with stainless steel base - $ 350 ea. 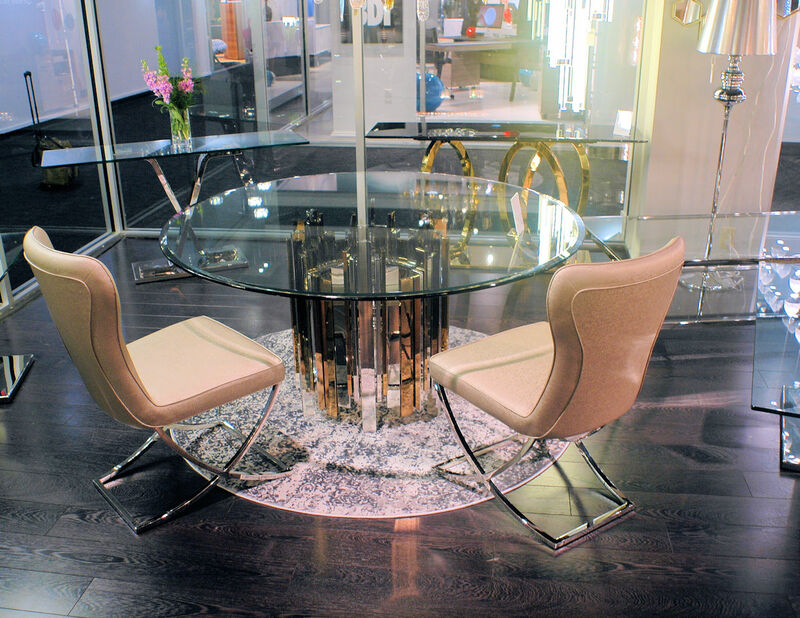 $ 2,195 - DT-648RGS round dining table with base in stainless steel and rose gold plated. Clear glass top. 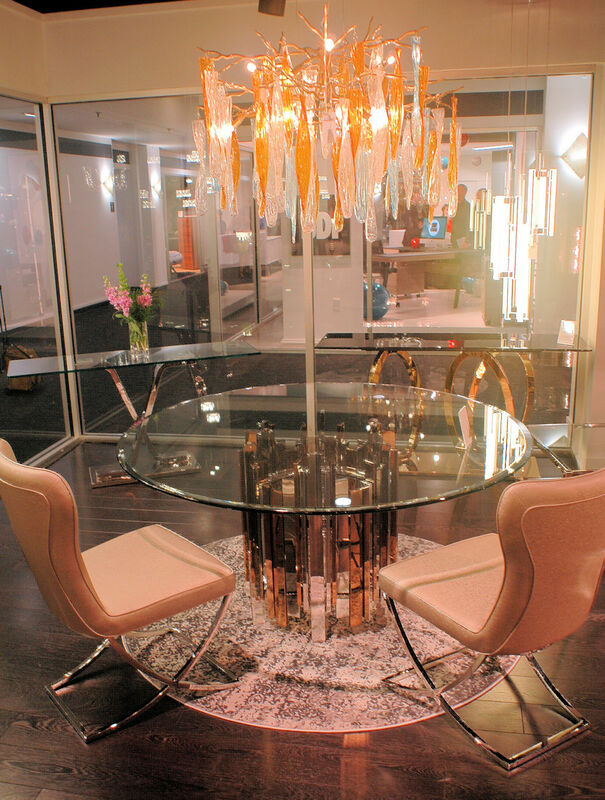 Shown with Aerie chandelier in gold paint finish and handmade glass - $ 1,995.